In April 2006 Robin 'Einstein' Varghese, a stupendously naive but academically gifted young man (he was ranked 41st in his class), graduates from one of India's best business schools with a Day-Zero job at the Mumbai office of Dufresne Partners, a mediocre mid-market management consulting firm largely run by complete morons. Varghese finds that he fits into the culture remarkably well. Or does he? Through a stunning series of blunders, mishaps and inadvertent errors, Robin begins to make his superiors rue the day they were driven by desperation into hiring him. With things going spectacularly wrong in his professional and personal life, will Robin manage to achieve his short-term goal of being promoted to Associate in under a year? Will love conquer all and will Gouri walk with him through Dadar Department Stores with her hand in the rear pocket of his jeans? 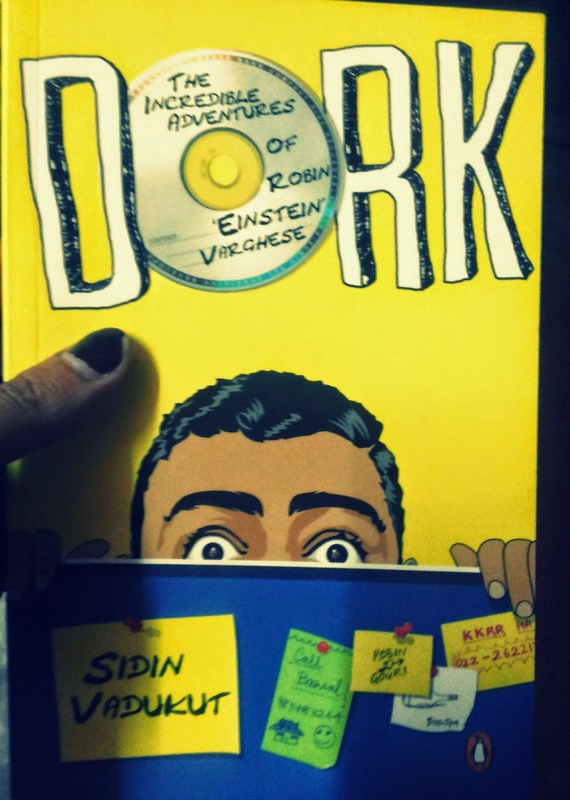 Dork: The Incredible Adventures of Robin 'Einstein' Varghese is for all of those who've ever sat depressed in cubicles and wanted to kill themselves with office stationery. Especially that letter opener thing. Sidin Vadukut is a journalist, columnist and blogger. He has an engineering degree from NIT Trichy and an MBA from IIM Ahmedabad. In a career spanning around a decade he has made automotive parts, developed online trading platforms, almost set up a retailing company and had a sizeable portion of a tree fall on his head. He is currently an editor with the business newspaper Mint. Sidin lives in New Delhi with his wife, two Play-stations, four laptops and a desktop computer. He blogs at http://www.whatay.com. Robin ‘Einstein’ Varghese is the hero of the book and the villain of his life. He is a MBA graduate from IIM Ahmedabad with a Day Zero job at a leading consulting firm. The best thing about Robin is that he thinks rather highly about himself. He has prefoessional goals and tries to draw strategies to achieve those goals. He is witty, funny and many a times irritating. Thanks to his over-rating of his own capabilities. All other characters like Gouri, his love interest… Megha, his don’t-know-what-kind-of-interest… Yetch and Rajini… Vineet and Jenson… Tony, Prasad and Jerry… push the story gently so that Robin can carry it painlessly in his shoulder. The design of the cover page and the book blurb compels anyone to grab the book. The narrative style is like that of reading someone’s daily journey. It has date and time tagged along with it. The dairy, being typed by Robin himself in the MS Word, we get to know only as much as Robin thinks he is. That makes this an interesting read. Come on, who doesn’t like to sneak-peak into other’s personal stuffs; personal dairy to be precise! The book takes close view into the professional life of an IIM graduate; a welcome deviation from the only-love-interest angle that we are so familiar with. I can assure you that any office-going person would enjoy this book that has a little over 200 pages. It pokes into corporate politics. The writing style is the real hero and there are several laugh-aloud moments. What else do you need? At times, Robin’s I-me-myself and Einstein-is-great theory would be too much to tolerate. You might feel like slapping him and ask him to wake up from the dream. But then, that’s how dorks are supposed to be, right? Therefore, no complains. Doubtlessly. It is a perfect time pass. Spend a few hours on a lazy weekend with the book… The Dork will entertain you. And you will not regret the time spent with him! Thanks for the wonderful review. I am going to buy this one to read. Looks like Robin is a legend in his own mind. What is ADIPOLI means? I know what POLI means in Tamil. I bet that you would enjoy. Its a triology fyi. ADIPOLI is something like superb! Didn't know it's a trilogy. Which part is this? This is the first book.